This month, I have another indie subscription to bring to you. I also have a collection and some randoms to swatch and post later. 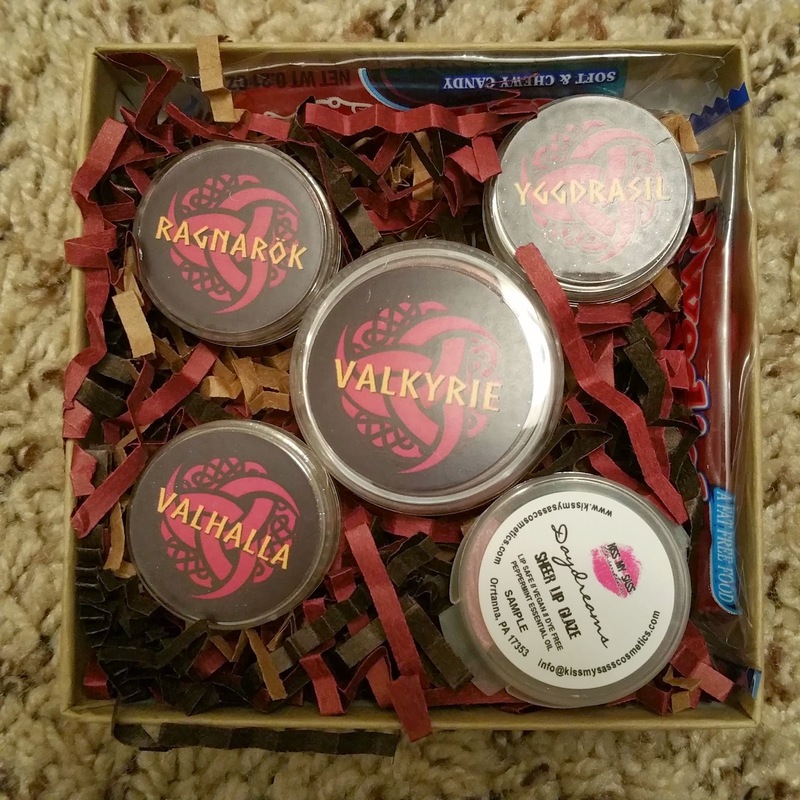 Aromaleigh Cosmetics makes eye, cheeks, and face products. They were founded in 1998, so they're solid in my opinion. The Ephemera subscription is $17.99 with shipping, and is definitely worth the money in my opinion. To get in the subscription, you enter a raffle and hope to be chosen! It comes in an adorable box tied with a box! First look, and yes, there was candy! 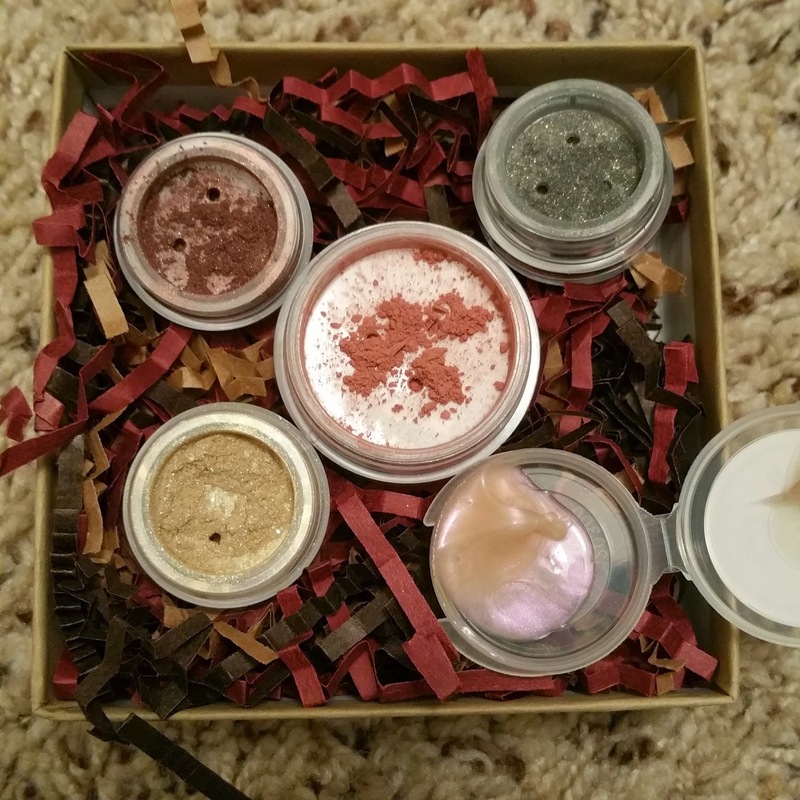 Also included with Aromaleigh's products was a sample from Kiss My Sass, which is amazing. It's a minty lip gloss/glaze with a nice sheen. It's lovely and I'm looking forward to trying out more products from them. 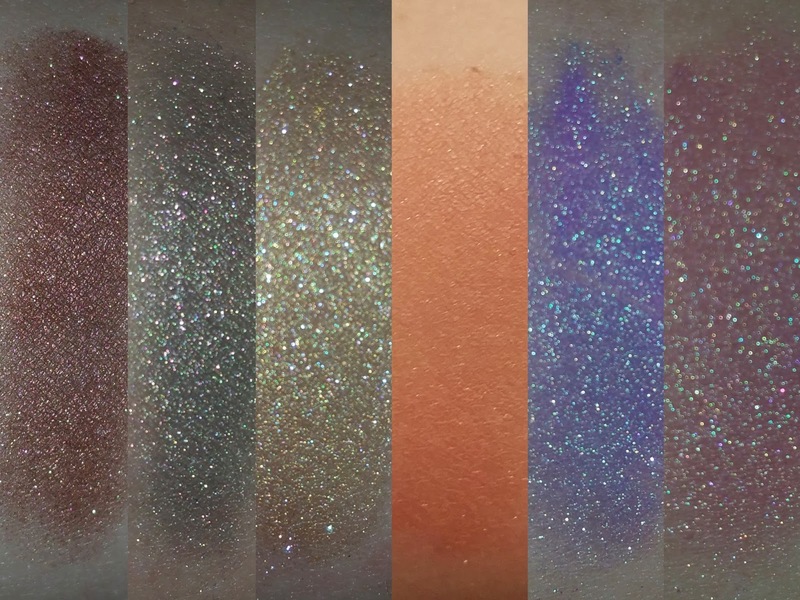 Next month's hint and a sample from the Galactic collection. Ragnarok ($4.50) - A deep, warm reddish brown with gold/green interference shimmer. This is a great crease color and easily blendable. Yggdrasil ($4.50) - A midtone heathered green with copper interference shimmer. An amazing green that is just to die for. I would love this for a liner or for an eye color. Valhalla ($4.50) - A soft pale weathered gold with strong blue interference sparkle. Lightly, this would be a great highlight. Darker, it would be a great all-over for a light eye day! Valkyrie ($7.00) - An easy-wear, soft rose shade. This is super soft and a great addition of color for pale girls, or can be built up some for darker skin tones! Carina and the hint. 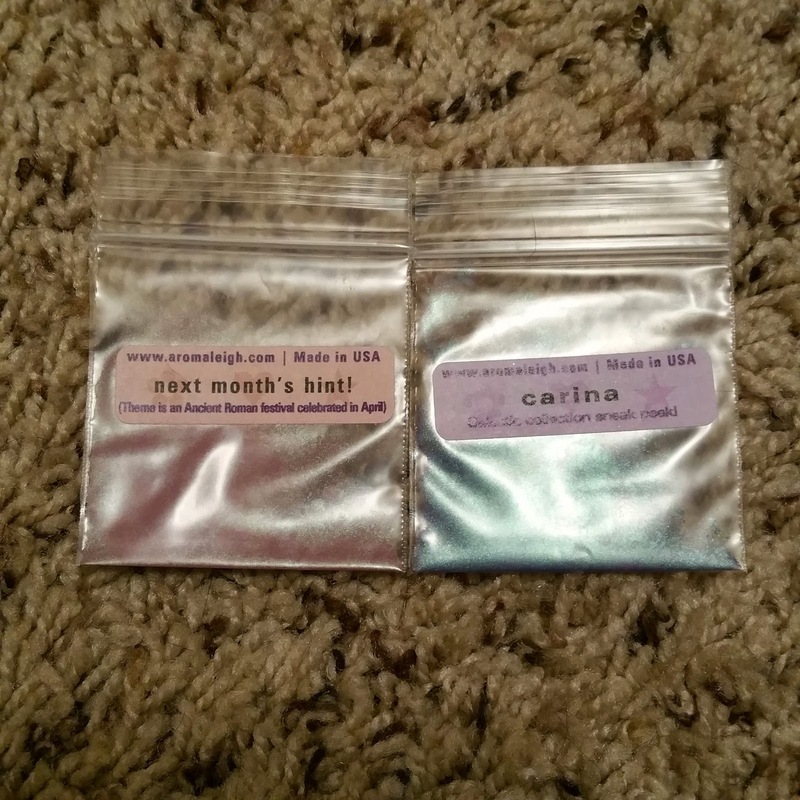 Carina is much more purple in the packet and has an amazing duochrome. The hint is adorable and I definitely need a bigger size of it! 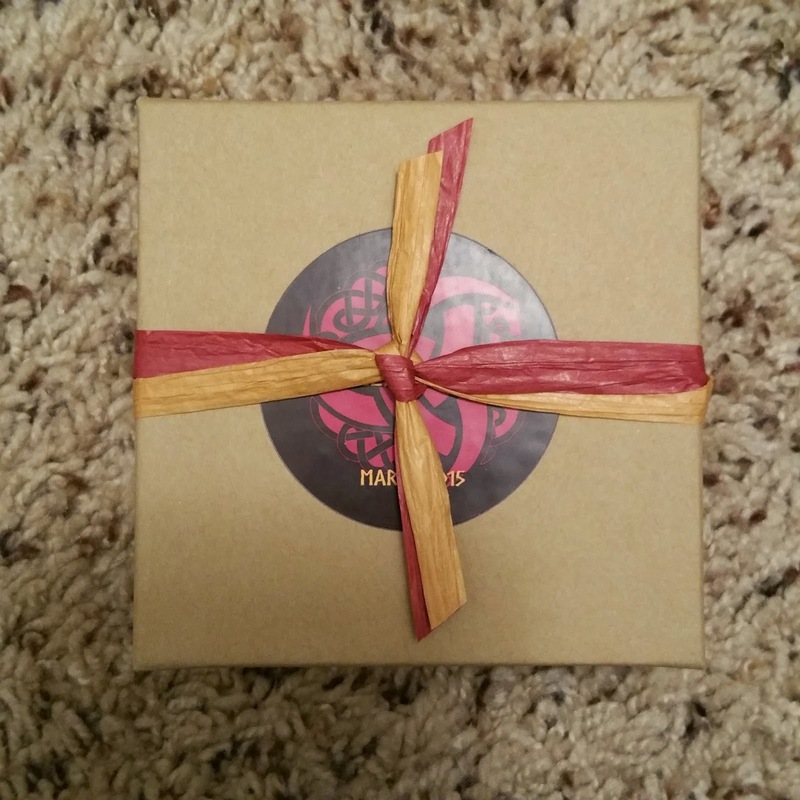 This month was a great starter for me, but I already loved Aromaleigh products so they didn't need to sell me on it at all. 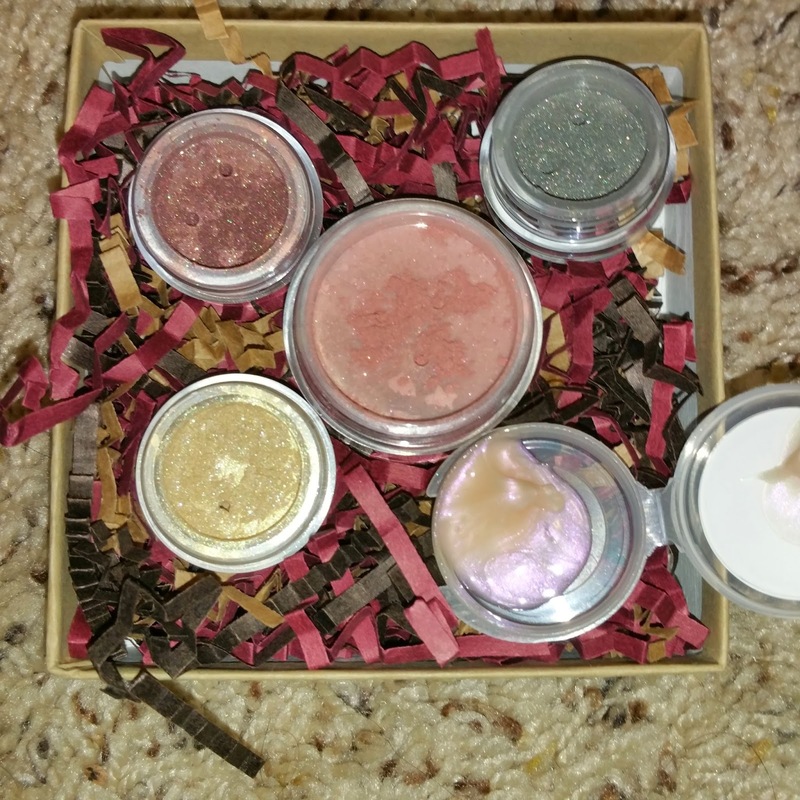 I loved every single color and am dying for more products from these great girls! If you're looking for a new indie subscription, let me know and I'll direct you to where to sign up for the raffle!